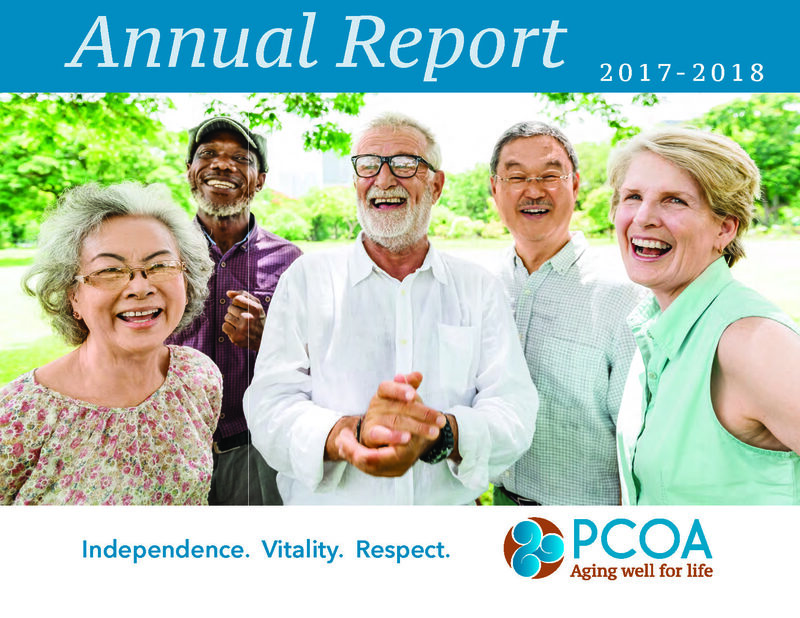 Every three to four years, PCOA conducts a community needs assessment process to assess current and emerging needs of older people in our community. A Report to the Community 2017 is our presentation of the findings, analysis and recommendations for action resulting from that assessment. Each year, we produce a report to illustrate to our donors, partners and our community the impact of our work. 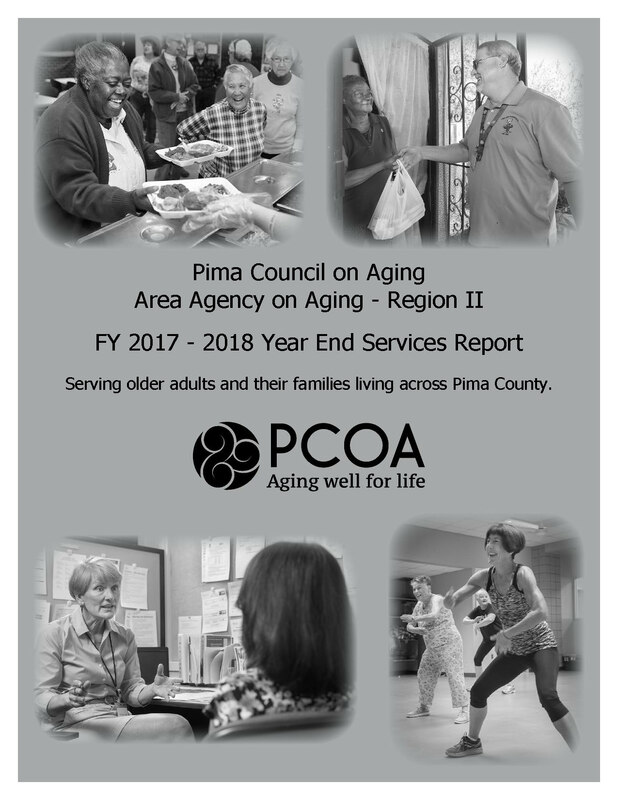 Together, we helped nearly 20,000 older people and their families in Pima County last year. A detailed look at the services PCOA and our community partners provided last year. 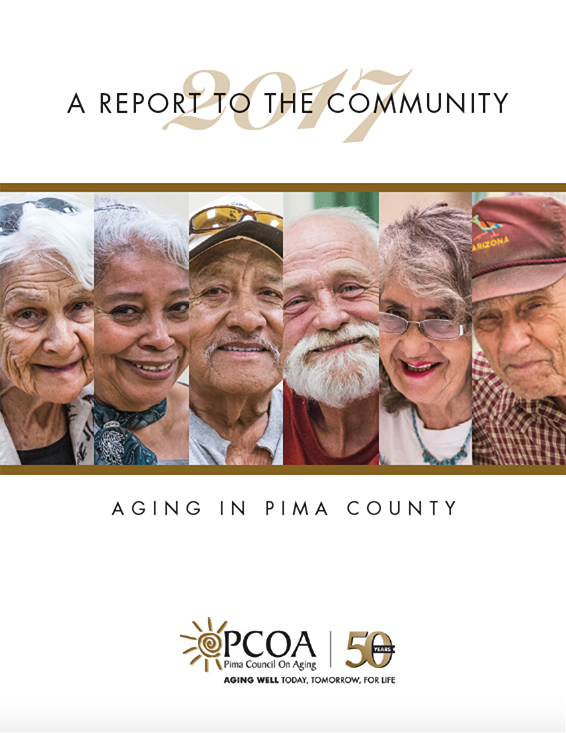 As the Area Agency on Aging for Pima County, PCOA is charged with developing an Area Plan on Aging for the next three years. 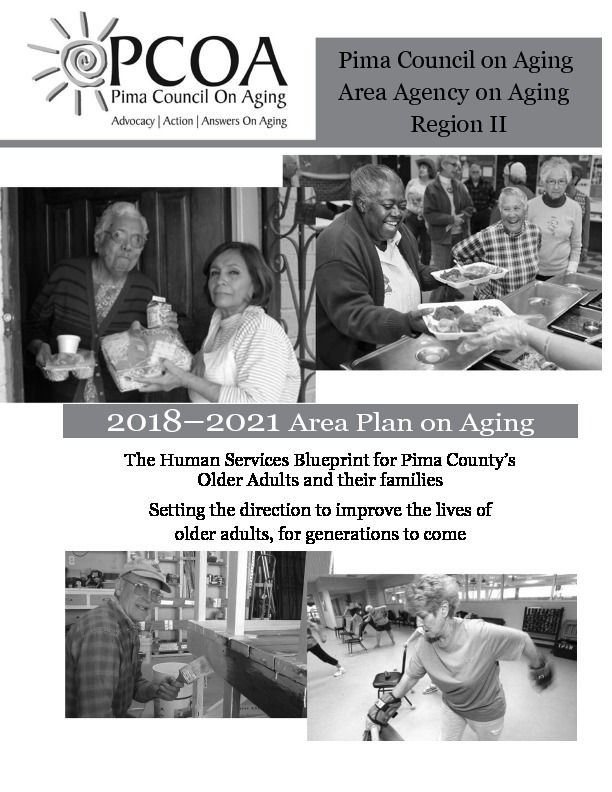 We are pleased to present the Fiscal Years 2018 – 2021 Area Plan on Aging.